When you support the Disabled Veterans National Foundation, you are making a difference in the lives of those who have served the country as well as their families. The Disabled Veterans National Foundation (DVNF) works to address issues that impact the lives of veterans who are disabled veterans and their families. The DVNF was created in 2007 by six women veterans and ever since has been helping men and women who have been wounded while on duty or have become sick during or after their service change their lives for the better. The DVNF provides services to disabled veterans and their families. They collaborate with various organizations that can provide direct support in specific areas that are needed by the veterans. They have specific interest in helping those who suffer from Post Traumatic Stress Disorder as well as other brain injuries. There is a grant application to complete and send in. It takes 30 days to process an individual application and 60 days for an organization application. People applying for individual grants will be asked to provide basic information such as name, address, phone number and date of birth. Applicants will also be asked what branch they served in, the date that they were discharged and their annual monthly income. They will also need to fill in the amount of funding that they are requested and state other means of financial assistance. 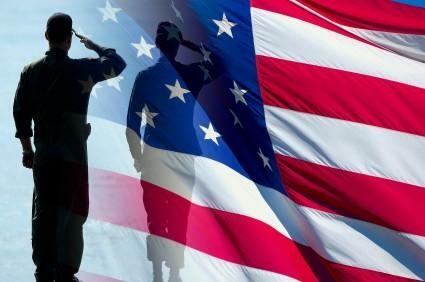 Grant money can be used for an individual's food, housing or utility bills or for an organization to expand services currently being provided to veterans. There are many ways to help the DVNF. One way is to make a donation. Your donation will help men and women who have served in the military change their lives for the better. Financial support is one thing that is always needed. To make a donation, print out a contribution form on the website and send it to the Foundation. Contacting legislators in both the Senate and Houses and urge them to support programs for veterans. Proudly displaying an American Flag and show your patriotism and support of disabled veterans. There are many veterans who do not know where to find help and support. Let them know of the Disabled Veterans National Foundation. Once they contact the Foundation they will be given the information and resources that they need. They will also be assigned a counselor who will help guide them in the right direction. To make a donation, submit a grant application or for more information, you can contact the DVNF by calling 1-888-782-2148. Their address is 1634 Eye Street, NW, Suite 750, Washington, DC 20006. Their email address is mailto:info@dvnf.org info@dvnf.org. Veterans are one group of people that are often underserved. They have many needs that may have directly resulted from their service to their country. Whether they have been disabled or seriously injured, many do not know where to find help and support. The DVNF exists to help those who have served their country and to make sure that a wide range of services and support is available to meet their needs.